Since the advent of Bluetooth, the sizes of the headset that have accompanied the wireless technology have begun to drastically shrink. This is arguably the greatest strength of Samsung’s WEP200. This is a typical wireless headset for cell phones and other bluetooth compatible devices. The WEP200 has 3 basic buttons: a multifunction on the front and an up/down volume control buttons on the side. 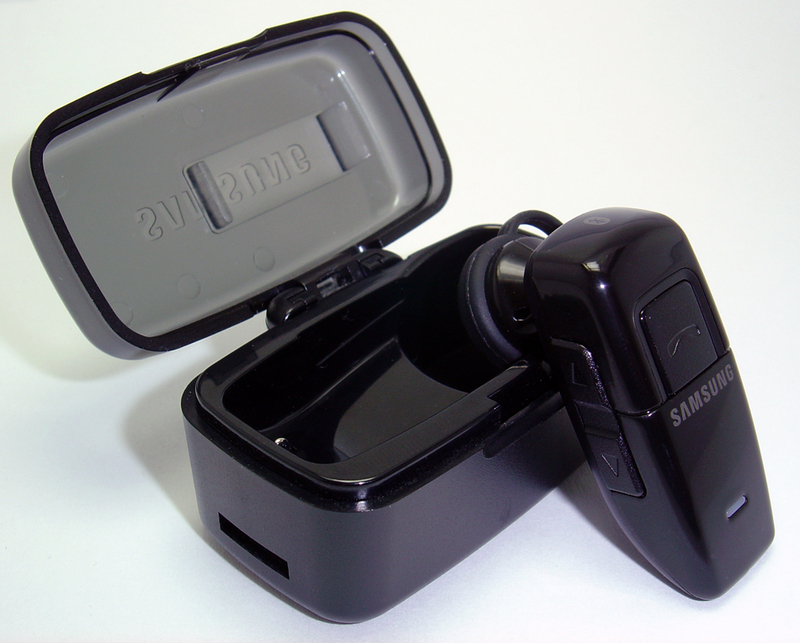 The device stays in one’s ear as a typical stereo ear bud, but Samsung includes a unique rubber loop to help prevent it from falling out. The device’s failure to stay secure in one’s ear is quite arguably the unit’s only major downside. As opposed to other headsets which have a piece of plastic that loops around one’s ear, the WEP200’s atypical ear bud design is very cumbersome to fasten properly. However, if it is properly secured, normal movements of one’s head does not seem to disturb its position to any great extent. The included plastic case is about twice the size of the actual headset and it also serves as a charging base for the unit. However the downside of the case also doubling as the charger is that if the case is misplaced there is no longer way to charge the headset. Samsung provides a charger cable along with the headset, but if you happen to own a recent Samsung phone, the same power supply cord can be used to charge both the headset as well as the phone. This was quite convenient since it allowed me to leave one charger cable at home and the other at work. The overall performance of the unit was impressive, possibly even surpassing our expectations. In a straight sight line, the unit was able to maintain clear connection with the phone for over 15 yards. However anything past that, the connection began to crack and the fidelity decreased rapidly. The multifunction button functioned as expected, press it to pick up or disconnect a call. However, with a complimentary Bluetooth 2.0 cell phone, the true advances began to appear. By simply tapping the multifunction button, a command section can be accessed that will either recognize a name in the phone’s address book or even dial a specific number. The voice recognition was fairly responsive, recognizing specific numbers over 80% of the time on the first try and picked up common Caucasian names with easy. 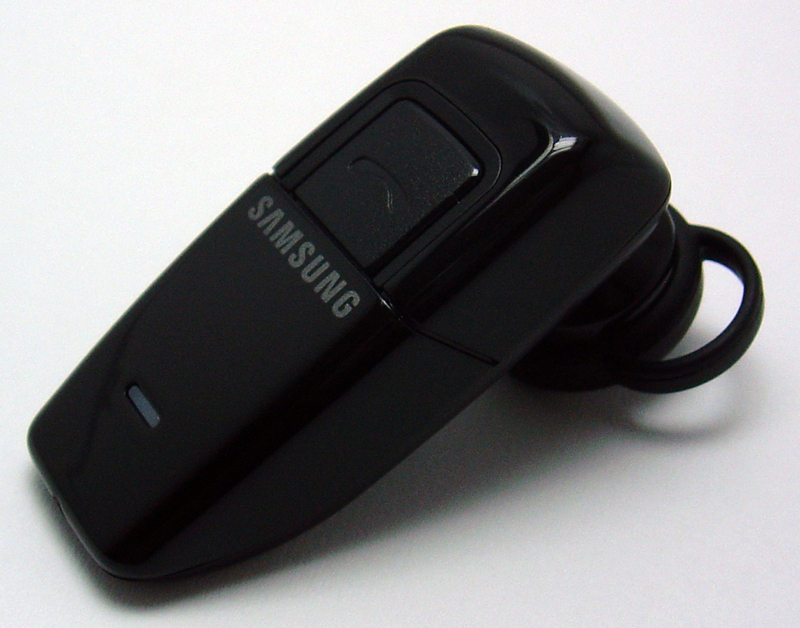 The Samsung WEP200 is quite affordable costing only $39, although it is available for as low as $30 online. There are plenty of more expensive devices which offer a longer talk time and better voice quality available, but for this price it is quite reasonable. While its signal was very strong, its size was much less awkward than the traditional design, the in -cooperative- ear piece will lead to much frustration until you can figure out the best method of getting it in. The stylish WEP200 is probably better purchased for those who own phones with Bluetooth 2.0, otherwise even cheaper traditional models will provide the same hands-free experience. 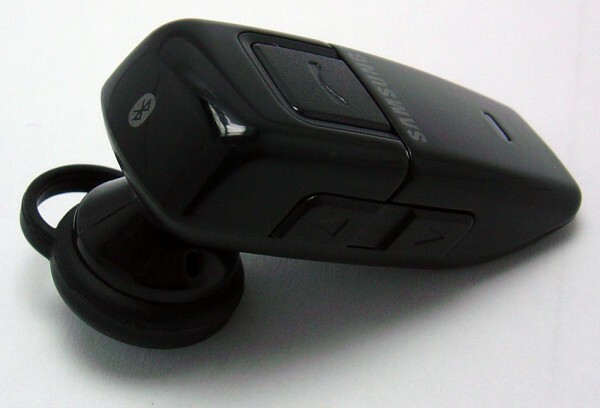 I need some Interchangeable Rubber Ear Piece Covers for my Samsung WEP200. I would appreciate it if someone could tell me where to find some. Jabra makes some replacement EarGel pieces which fit this device. I found them at my local RadioShack and they were only approx. $5. The only down side to these is that I have to take the eargel off to charge the WEP200. These eargels also make the WEP200 fit snuggly in my ear and no amount of running/jumping has been able to jostle the WEP200 out of my ear. Hope that helps! Thanks Heidi. I will go by and try some. Funny,… I was just wondering if I was ever going to hear from anyone about this. Thanks for the info. Thanks heidi I was also looking for the rubber ear piece replacement!!!! I still would like the one that is like the original. Anyone know here to get it?